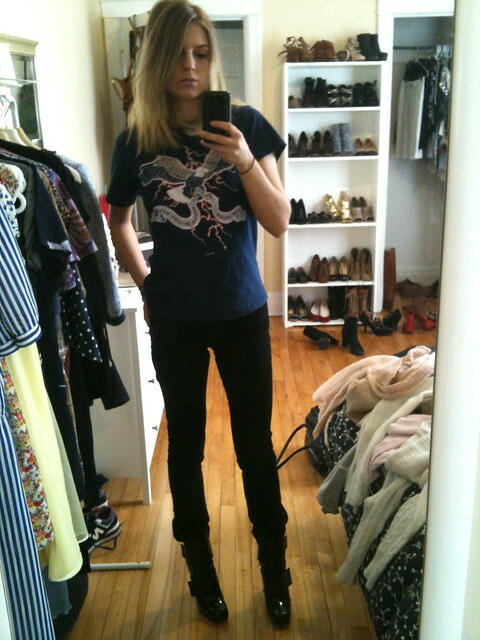 Jeans and a t-shirt, my favorite. Toss in some leather and some robocop boots (as baptised by my boyfriend) and you're good to go. On that note, i hope you all have a wonderful weeekend! the last photo <3 you got really good lighting in that one! Love your outfit, those boots look amazing! So chic, Helene! Those shoes really make your outfit pop! Have a great weekend. Seriously Helene you rock I love the whole look! The robocop boots rock. So does the fact that you/your bf call them that.